Can you to tell I'm excited for Christmas? I hope you have been enjoying my Christmas posts so far this year. With it being under a month to go to the big day, it's flying by. I'm all the more excited about getting up the decorations, listening to Christmas songs and getting really into the festive spirit! Blake is almost four and I'm hoping that even with additional needs, he will understand a bit more about what is going on this year. 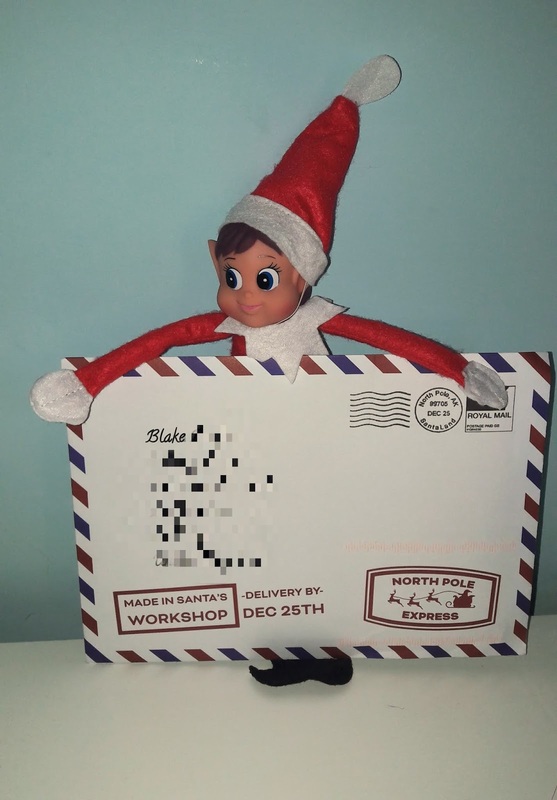 This year is our first year where we have decided to do elf on the shelf and so this morning our little elf Buddy has arrived along with a letter for Blake from Santa. Santa and his elves are currently very busy in the north pole and there is something magical about getting a letter from Santa. I hope this is a tradition that Blake will look forward to each year. 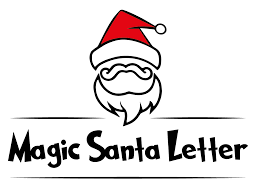 Magic Santa Letter provides some of the highest quality letters for children around the world. They don't just sell letters from Santa either but other special items such as personalised Christmas wrapping paper, personalised Christmas eve boxes and personalised Santa sacks. 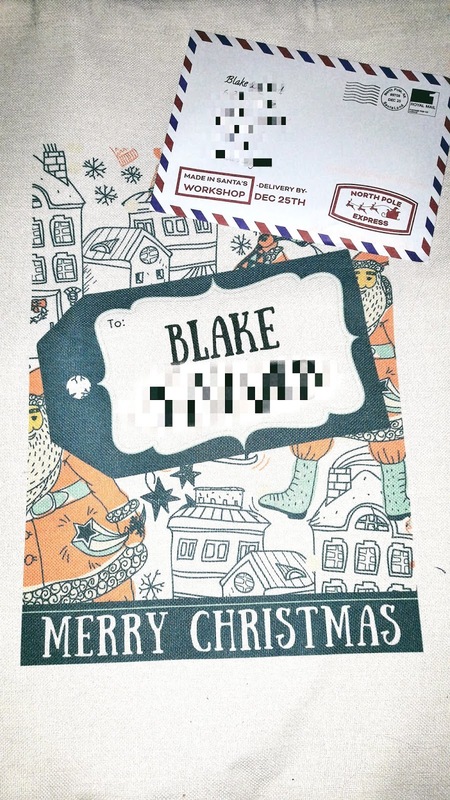 We got to choose a Santa sack for Blake from 10 festive designs and I went for the Ranua one which is personalised with Blake's name and in a cute Scandinavian design. The sack is large enough to hold even the most generous stash of Christmas presents and is excellent quality which is bound to last Blake years! The magical personalised letter from Santa arrives in the post in an authentic looking envelope addressed to your child. The stamps on the bottom are enough to get children excited! As we have the start of the Christmas fair in town today I chose to have Buddy arrive a day early with Blake's letter which I put aside ready. When choosing what letter to go for I went for the Magical package which costs £5.99 per letter. The package includes a letter from Santa on high quality A4 straight cut paper along with an authentic looking good child certificate. 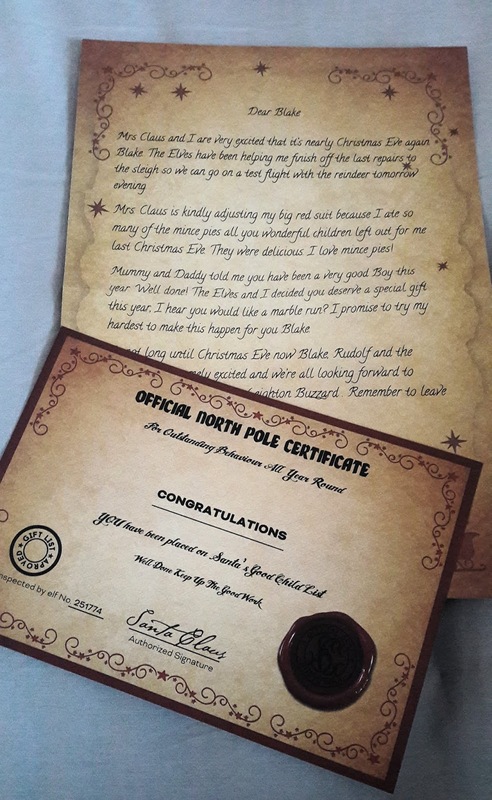 The letter itself is a great keepsake and so authentic looking along with the good child certificate especially as both are signed by Santa and feature the official north pole seal. You can choose from 3 different templates and the one I chose was the I love mince pies which can be personalised in 5 places within the letter for example with your child's name, hometown and present wanted. - Your pesonal letter Printed on Luxury Thick Cut Scroll Paper. - Santa ‘Stop Here’ Door Hanger. All sent in an authentic North Pole envelope and are also single parent enabled along with giving you the choice of one of six templates or write your own for a fully personalised letter. Don't forget if its your baby's first Christmas this year you could opt for the baby's first Christmas letter for £6.99 which also comes with a good child certificate and magical reindeer food. There are a choice of 2 templates or to write your own letter with this option. Delivery of the letters is really quick and arrived within a few days of ordering. I feel the letters are reasonably priced considering the contents provided with each one and postage by royal mail is included within the price. ** All orders of letters placed after 4pm on 19th December 2018 will NOT be guaranteed for Xmas Eve delivery. *** We were sent a santa sack and personalised santa letter in exchange for an honest review, all views and opinions are 100% my own.